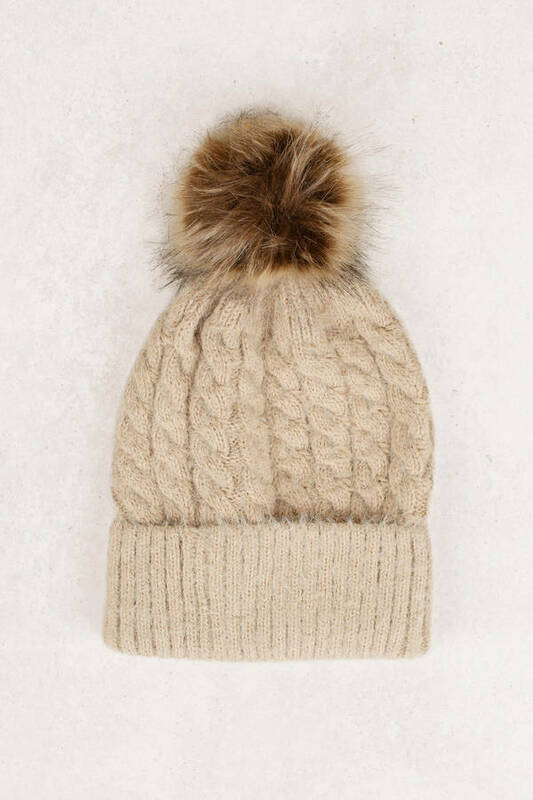 Check out Tobi's Nancy Knit Pom Pom Beanie Introducing a quick & cute solution to chilly weather, the Nancy Khaki Knit Pom Pom Beanie. 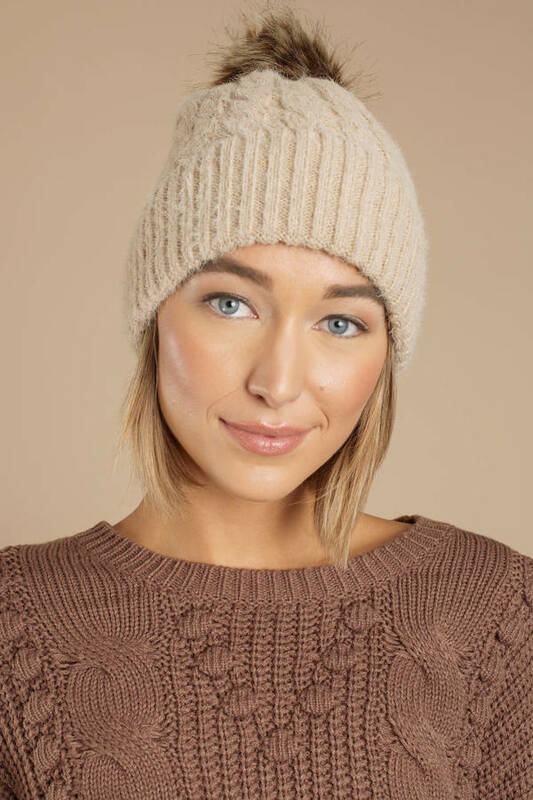 This pom pom beanie features gorgeous knitting with an overlap and an oversized faux fur pom pom at the top. Top off all your winter outfits with this warm beanie, and pair it with a linen scarf.